For Superbowl Sunday, I always make Chinese Dumplings. I've written about them before when the kids were young, then shared the full recipe three years ago. This year, I experimented with a vegetarian filling. 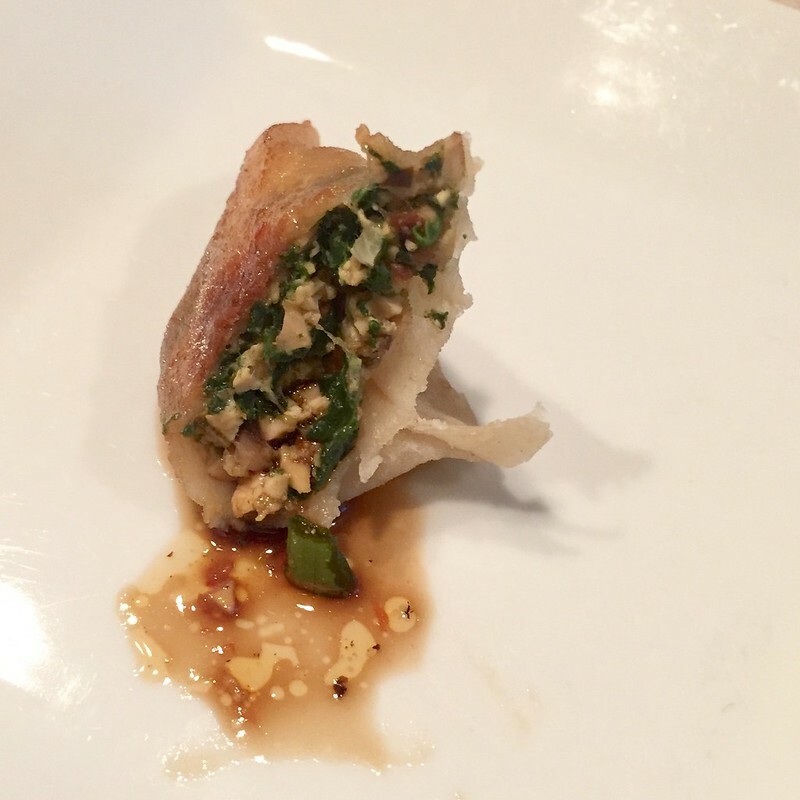 My son has been eating vegetarian for a few months and he loves dumplings, so I attempted to make them as close to the meat version. 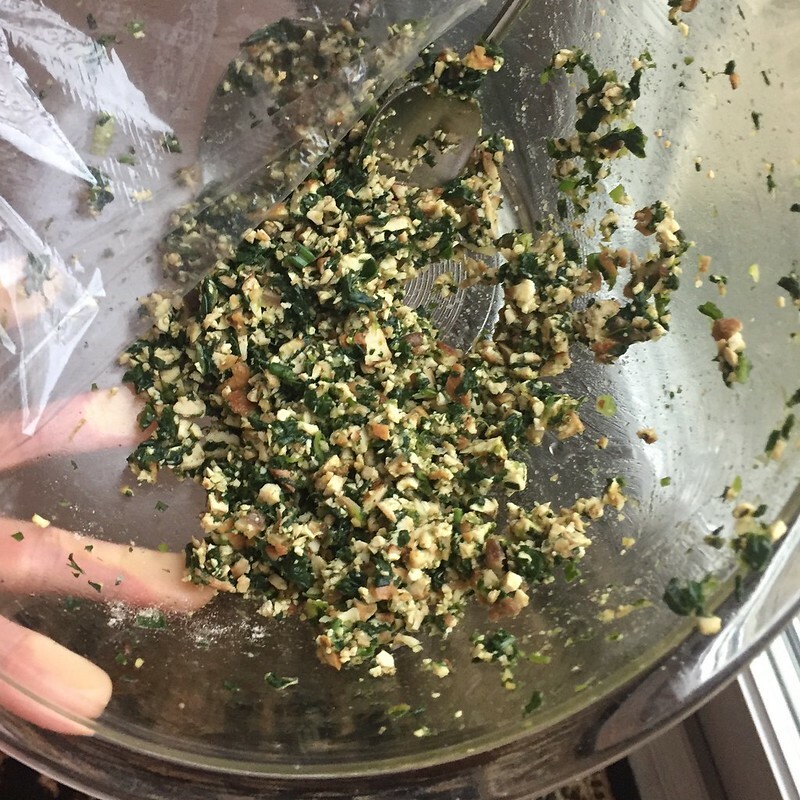 To accomplish this, I used all the same ingredients as the traditional meat filling - shiitake mushrooms, green onion, spinach, garlic, ginger, soy sauce, sesame oil - while substituting in seasoned tofu for the ground pork. The cubes are good for snacking on, too. 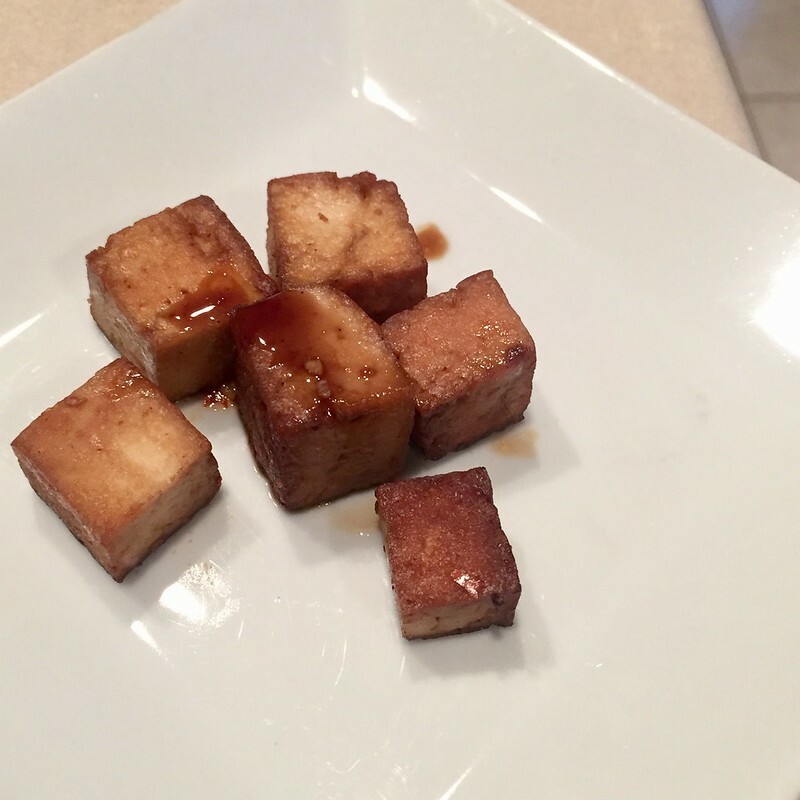 Side note - use any marinade on the tofu cubes to change up the flavor. Some ideas - BBQ sauce, Chipotle sauce, Buffalo Wing Sauce. I also incorporated an egg into the mixture as a binder. Wrap and cook just like the meat version. They won the approval of my son, so I call that a success. 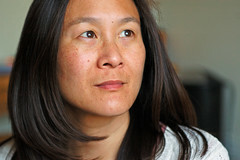 Shirley, these look so yummy!! !